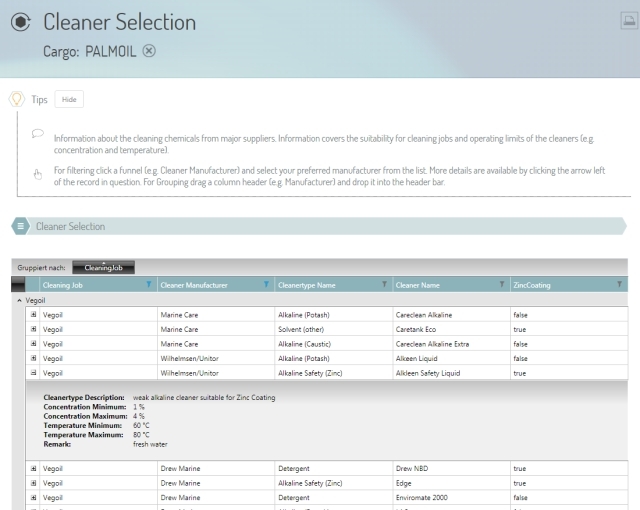 Integrated database with cleaning chemicals from major suppliers. Provides information about the suitability for cleaning jobs and operating limits of the cleaners (e.g. concentration and temperature). This supports the user in selecting cleaning chemicals other than recommended in our recipes.